IF there is a heaven, it’s lovely to think that Queen Victoria and Prince Albert are happily reunited for all time. 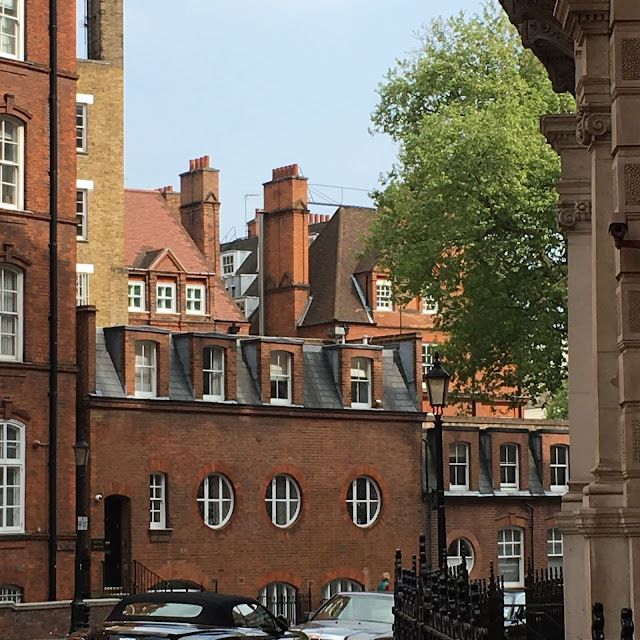 Watching the second season of Victoria, Lord Melbourne finally out of the Queen’s head, we see the young Victoria’s absolute devotion to her handsome prince consort. I’d be swooning over Albert too if he looked like Tom Hughes. 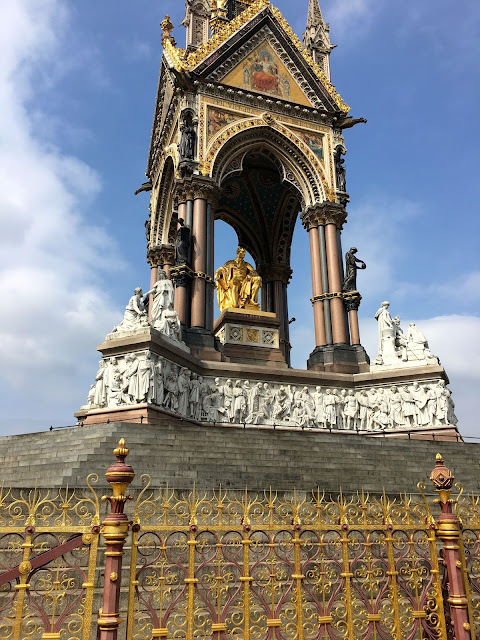 The real Queen’s devotion to her man—besides bearing him five children—begins with her commissioning of the Albert Memorial in honor of the prince consort who died in 1861. We ran into the Albert Memorial last year on our trip to London when we were walking in Kensington Gardens. 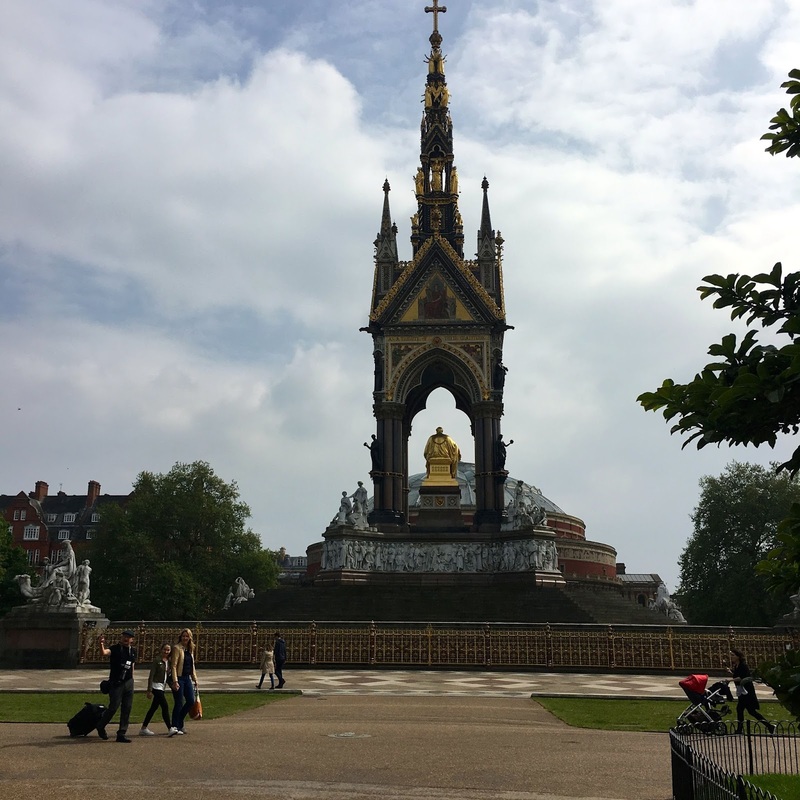 As you can see in the top picture, the memorial is directly to the north of the Royal Albert Hall. Victoria’s love and devotion is further evidenced—remember, Victoria wore black for all the remaining days of her life after his death—by her naming of the Royal Albert Hall of Arts and Sciences in 1867 when she laid the foundation stone. She was too overcome by emotion to speak. 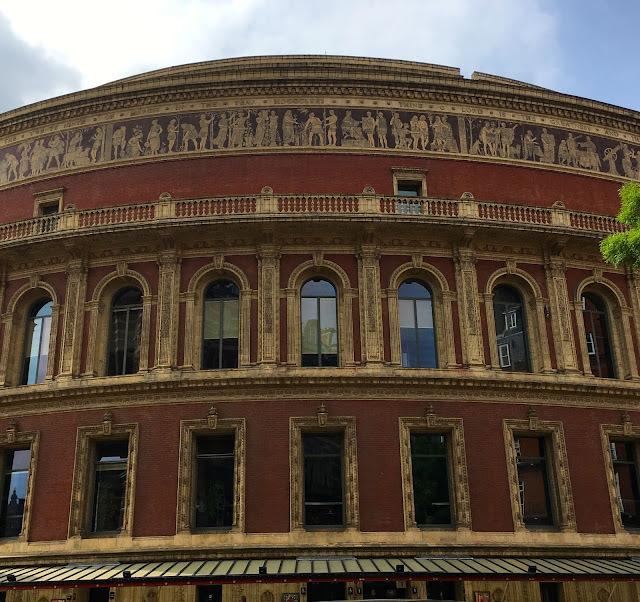 IF there is a heaven, I imagine they both have a giggle that these days, the area surrounding the Royal Albert Hall, full of colleges, educational and cultural sites is affectionately nicknamed Albertopolis! A passionate advocate of education reform, Albert, who was elected Chancellor of the University of Cambridge in 1847, campaigned for a more modern university curriculum, calling for the teaching of modern history and natural sciences in addition to the traditional mathematics and classics. That is quite a memorial she had built, I would love to see it in person one day. Bet they would get a kick out of Albertopolis! Wouldn't it make a great title for a book? We were all around this, but managed to miss it. A little too far south when we were at the Science Museum. A little too far north when we were in Kensington Gardens because we were focused on tracking down the Peter Pan statue and checking out The Orangery. Funny! We found the Peter Pan statue but missed the Orangery completely!